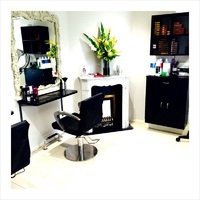 My Home Your Salon is a wonderful new way to enjoy your hair and beauty in Brighton & Hove. 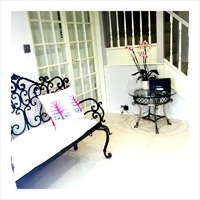 Located in a beautiful home in Hove, you can enjoy a unique, relaxed yet professional environment in this boutique hair & beauty salon. 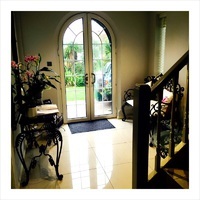 If you are looking for a real VIP experience rather than the hustle & bustle of a busy High Street salon, then My Home Your Salon is the place for you! Maryam Salehi, formerly the owner of The Usual Suspects Hair & Beauty Salon in Church Road, Hove, qualified at Vidal Sassoon in London and has over 10 years of hair and beauty experience. Maryam is a highly experienced Vidal Sassoon trained stylist who can offer a range of hair treatments. Sit back and relax in absolute luxury whilst enjoying one of Maryam’s beauty treatments. 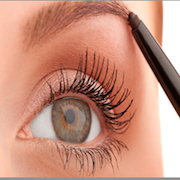 Take a look at our range of semi-permanent make-up treatments, such as eyebrow tattoos. 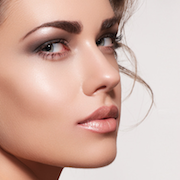 We offer hot or warm waxing, painless & effective, the best waxing option you can find. Monday to Saturday 9.00am to 7.00pm.